If you are looking for THE BEST two bedroom luxury cabin rentals in is definitely ONE of them!!! VIEW NOW. We know that you are coming to the Smoky Mountains to enjoy the great outdoors, but poor weather conditions can sometimes change your outside plans. However, don’t let the rain spoil your fun as your cabin’s game room is available for hours of exciting entertainment! Before you know it, the sun will be shining back down on the mountains and you can get back to your outdoor activities. One of the big challenges for parents during a family vacation is keeping the kids occupied with fun activities. The great news is that when you are staying in our Gatlinburg cabins with game rooms, you never have to worry about the kids saying “I’m bored”! In fact, we wouldn’t be surprised to hear that the game room is their favorite part of your vacation! Let the kids play for hours while you relax in your cabin’s hot tub and enjoy the beautiful environment of the Smokies. When staying in a cabin with a game room from Acorn Cabin Rentals, you have the opportunity to enjoy some unique time together with your friends and family! Whether you create an air hockey tournament with your friends or check out foosball for the very first time, you are sure to have a blast in our cabins! The game room is the perfect place to relax and have fun while creating memories that will last a lifetime. While there are plenty of fantastic shows and attractions in Gatlinburg, the cost of entertainment can quickly add up! This is especially true if you have to purchase admission tickets for everyone in the family. As an alternative to an evening on the town, head to your cabin’s game room where you can enjoy hours of free entertainment! When you add the entertainment value of our game rooms, our cabins are more affordable than ever! If you have never played pool or air hockey, our game rooms offer the chance to try out a new game! You might just discover a new favorite and want to invest in a pool table or air hockey table of your own someday. If not, you can always come back to Acorn Cabin Rentals to play the games in our cabins! 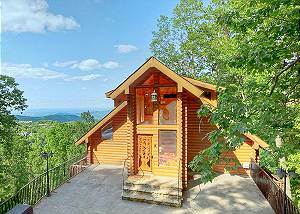 Check out all of our Gatlinburg cabins with game rooms today to plan your getaway to the Great Smoky Mountains! We look forward to seeing you soon at Acorn Cabin Rentals!